Finding the best bunk bed mattress for your needs is not as difficult as many might think. Yes, different people have different requirements in their mattresses, and some prefer one type of mattress to another. Some people feel too hot on a memory foam mattress, so perhaps they should try a gel memory foam. Other find an innerspring mattress to be uncomfortable, while others prefer the bounce it offers. What this means is that there is no “One Fits All” bunk bed mattress solution that enables us to make recommendations suitable for everybody. Different people have different needs, and the type of mattress that you may find comfortable might well keep your neighbor awake all night. Our purpose here is to present the top 5 bunk bed mattresses that we were able to find. We will then follow that up with a Buyer’s Guide to help you choose yours. We are using the Twin size for comparison. The Cr Sleep memory foam 5-inch bunk bed mattress is eminently suitable for children due to its waterproof layer. It is also good for adults, and the various layers make for a very comfortable sleeping surface. The 5-inches of this mattress comprise 4 inches of high-density pressure relieving support foam with a 1-inch topping of 40D memory foam. The whole mattress is covered with a plush velour waterproof layer. This mattress is suitable for trundle beds and bunk beds, and comfortable while supportive for adults and children. The waterproof plush cover is available in pink or green. The whole structure provides long-lasting stability and durability. Soft, comfortable waterproof cover with a one-inch layer of memory foam. A 4-inch layer of higher density support foam for a comfortable sleep without you sagging into the mattress. CertiPUR-US certified foam, meaning that it contains no heavy metals or substances harmful to you, your children or the environment. A full 80 days free trial! Although claimed to be a memory foam mattress, the 1-inch of memory foam will not give much experience of that type of foam. However, if you don’t like latex then is your best choice of those we have reviewed. Editor’s Notes: This mattress is suitable for most trundles and bunk beds. It is suitable for both adults and children, and the support base provides a good solid sleeping base. The one inch of memory foam doesn’t give much a memory foam experience, but it is a comfortable top to this bunk bed mattress. The moisture barrier will be useful if you use this mattress for a children’s bunk bed. The Tuft & Needle twin mattress is suitable for bunk beds, and comprises the company’s own ‘Adaptive Foam.’ The mattress consists of two layers of CertiPUR-US certified polyurethane foam. As explained, earlier, this means that the foam is free from ozone depleters, heavy metals and other chemicals that can be harmful to you. 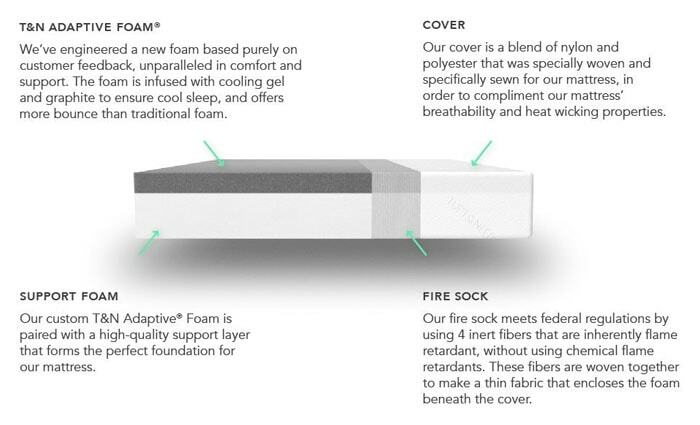 The Tuft and Needle adaptive foam twin mattress comprises a top 3-inch layer of polyurethane Adaptive Foam, infused with a cooling gel and graphite that absorbs your body heat and provides a comfortable top sleeping surface to the mattress. Beneath that, there is a 7-inch higher density support layer. Together, these layers ensure a comfortable sleeping surface that also provides good support for your neck, shoulders, back and hips. The mattress offer a bouncy feel while also offering good support. Most people like the level of softness and firmness. 100 Night sleep trial with the guarantee of a full refund if you find fault with it or if it doesn’t do what you hoped for. At 10-inches, it needs a bunk bed with guard rails at least 14 inches high. Editor’s Notes: This ‘Adaptive’ polyurethane foam bunk bed mattress offers more bounce than the Talalay latex or partial memory foam mattresses above. Its structure provides a good combination of soft comfort and support that helps to avoid neck and back pain. While not a genuine memory foam, the CertiPUR-US certified ‘Adaptive’ polyurethane foam proves excellent support for the shoulders, hips, lower back and other pressure points. Safety Note: This mattress should be used only on bunk beds where the safety rail is at least 14 inches high: a minimum of 4 inches above the mattress. The DreamFoam Bedding Company is an American company that offers excellent bedding products. The 10-inch latex mattress consists of three layers, referred to by DreamFoam bedding as a Tri-Zone. This consists of a top 3-inch layer of Talalay hypoallergenic latex foam. Talalay latex as a more consistent structure than Dunlop latex, and is a more ‘pillowy’ type of latex that offers more comfort than the harder Dunlop latex. Beneath that are 5.5-inches of high-density convoluted latex foam. Not only does this layer offer excellent support, but the convoluted structure permits good air circulation and so makes for a cooler sleep. All of this is held in a quilted bamboo cover with 1.5-inches of a supersoft reflex foam (0.75 inches each side). The entire structure has been designed for maximum comfort allied with excellent support. The Ti-Zone structure provides excellent support allied with a top layer of comfortable Talalay latex foam. It suitable for all types of sleepers: back, side or belly. CertiPUR-US foam indicating that the foam used is free from heavy metals, ozone depleters and toxic chemicals. 10-Year Warranty. This covers for manufacturing details, sagging and permanent indentations of less than 1-inch deep. Once you order has been cleared, the company will email you regarding your preferred comfort level on a scale of 1 – 10. They will walk you through the customization process if you wish. Some complaints about the mattress not inflating quickly enough after delivery. Otherwise, few complaints other than those that prefer memory foam to latex. This is not a memory foam bunk mattress! Editor’s Notes: If you prefer latex to memory foam, then is your best bet. It is an excellent latex mattress and the Tri-Zone structure offers an excellent combination that makes for a very comfortable bunk bed mattress. This would be an excellent choice for a child old enough for a bunk bed, because it combines top comfort with base support. It is also has the CertiPUR-US certification, showing that is free from chemicals that could be harmful to a child. This twin-size gel memory foam mattress offers the memory foam experience with the cooling effect of gel. It is recommended for trundle beds and bunk beds. The 5 inches consists of a one inch comfort layer of gel-infused memory foam and 4 inches of a high density base foam for maximum support. Even though only one inch, the memory foam helps to reduce pressure on your hips and shoulders. It also helps to maintain your natural spine curvature. Not as much as a thicker memory foam layer, but it does so to a certain extent. Keep in mind the relative costs of dedicated thick memory foam mattresses and bunk bed mattresses which tend to be thinner, and consequently lower priced. The gel-infused memory foam keeps you cooler when sleeping. The gel absorbs your body heat. The firm support layer prevents you from sinking into the mattress and helps support your back and stabilize your spine when sleeping. Low profile mattress making it ideal for bunk beds and trundle beds. 10-Year manufacturer’s warranty for manufacturing defects. Not really a gel memory foam mattress as advertised, although it does come with 1-inch of gel memory foam on top. Some complaints about the time taken for the mattress to expand to its correct size after delivery. Editor’s Notes: Although advertised as a gel memory foam mattress, this consists of just one inch of gel memory over a harder support foam. 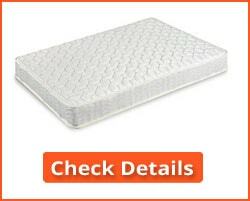 Other than that, it is included in our review because it is a good bunk bed mattress and excellent value for the price. It does help relieve pressure-point pressure when sleeping, particularly when used for children. The Zinus 6-inch spring twin mattress is constructed using Bonnell helical springs. You get two of these mattresses in the set for bunk beds. They are traditional spring mattresses, padded on the top with quilted fiber padding and foam underneath for added comfort. The 450 heavy gauge steel coils are individually wrapped to offer maximum support and comfort. The set is ideal for trundle and bunk beds. Comfortable top of quilted padding over a foam base. CertiPUR-US foam indicating that the foam used is free from heavy metals, ozone depleters and other unhealthy components. The 10-year warranty details can only be found by contacting the seller. In our view, warranty conditions should be open to view prior to purchasing. The mattress can be rotated but not flipped. Editor’s Notes: This is an excellent example of a spring mattress suitable for trundle beds and bunk beds. If you prefer traditional springs rather than a 100% foam mattress, then this is your best choice from all those we have researched. 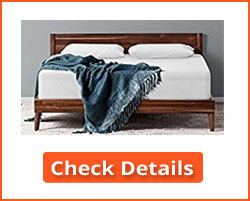 It is not our #1 choice, because many people prefer not to use a traditional spring mattress. When reading best bunk bed mattress reviews it is important that you understand the terms that may be used, and what factors are considered when rating them. Many people associate bunk beds with children, but most can also accommodate a grown adult. Bunk beds often come with mattresses although you will eventually have to replace these. In any case, not all such beds come equipped with a mattress, and even if it does it may not be to your liking. This buyer’s guide will help you to choose the most suitable bunk bed mattress for your needs. 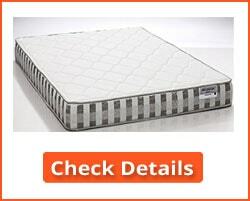 Twin Size Bunk Bed Mattresses: We have used twin size mattresses for our review. The term ‘twin’ refers to the fact that twin bed size was originally designed to enable two beds of the same dimensions to be used in a bedroom. It is fundamentally a mattress for single occupation and is suitable for children and adults. The factors discussed here apply to all available sizes of bunk bed mattresses, though twin is the most popular. It is important to be aware of the dimensions of your bunk bed for safety reasons. If your mattress is too thick (and hence too high) for the guard rails, particularly the top guardrail, then there could be a danger of falling. The guardrail should be at least 4 inches higher than the top surface of the mattress – the more the better. It is easy for children and adults to roll over the guardrail if it is too low in relation to the mattress. Nor should the mattress be too thin. It is possible for small children to slip between the guardrail and a thin mattress. This is particularly the case if you use a mattress topper on top of a bunk bed mattress. The topper is easily pushed aside by the weight of a child’s body, allowing him or her to slip between the rail and the thin topper. Bunk beds are rarely used as the main bed for families, unless they are used for the children. They are generally regarded as an inexpensive way of providing bedding in a minimal space. For that reason, many mattresses that come with bunk beds are cheap. This may not affect their quality, but many people prefer to purchase the mattress of their choice. There is no genuine difference between bunk bed mattresses and those for standard beds. There are many high quality bunk bed mattresses available, and it is these we have been reviewing. To be truthful, any mattress can be used in a bunk bed – so long as it fits the bunks, both top and bottom. However, some are designed specifically for bunk beds. They have sufficient thickness to help prevent young children from slipping between the mattress and the guardrail. All of our best bunk bed mattress reviews relate to mattresses of 5 inches thick and over for that very reason! Polystyrene Foam: Many bunk beds intended for use by children come with cheap polystyrene foam mattresses. They are lightweight, inexpensive mattresses, that are often used for campground bunk beds. Polystyrene foam is not generally used for mattresses other than bunk beds. They generally consist of a slab of polystyrene foam that might be OK for temporary camp sleeping, but not for extended use. The polystyrene tends to crumble and you will soon have to replace it. Memory Foam: A memory foam mattress can be expensive, although many bunk bed mattresses use only a thin layer of memory foam (1” – 2”). While this thickness can give some of the benefits of memory foam, it is also safer for children. Concerns regarding the suffocation risk for young children sleeping on memory foam mattresses have been raised. Memory foam of 1” – 2” thickness presents a very low risk. Although such a thin layer offers minimum or negligible risk to children, it does provide good support to their necks, shoulders and hips. Beneath that memory foam layer, you will often find a layer of polyurethane or latex foam that provides good overall body support. Such memory foam bunk bed mattresses are suitable for both children and adults. 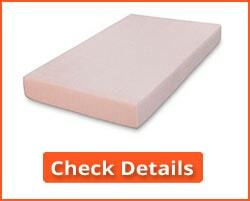 Latex Foam: Latex foam is a popular type of foam used in bed bunk mattresses. There are two distinct types of latex foam: Talalay and Dunlop. Talalay latex foam has a more open structure than the denser Dunlop latex foam. A mattress with a Talalay latex top offers a comfortable, soft sleeping surface and a Dunlop latex foam base provides the strength and support that is also needed. Latex offers more bounce than memory foam. Innerspring Bunk Bed Mattresses: We have included one innerspring mattress in our best bunk mattress reviews. No review of the best mattress for bunk beds in 2019 would be complete without at least one innerspring bunk bed mattress. We have looked a number of options, and the one we have chosen consists of 450 heavy gauge individually wrapped steel coils. 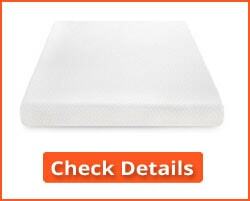 Many people prefer a spring mattress to one consisting only of foam and this is our choice. Bunk beds are not the same as regular beds. 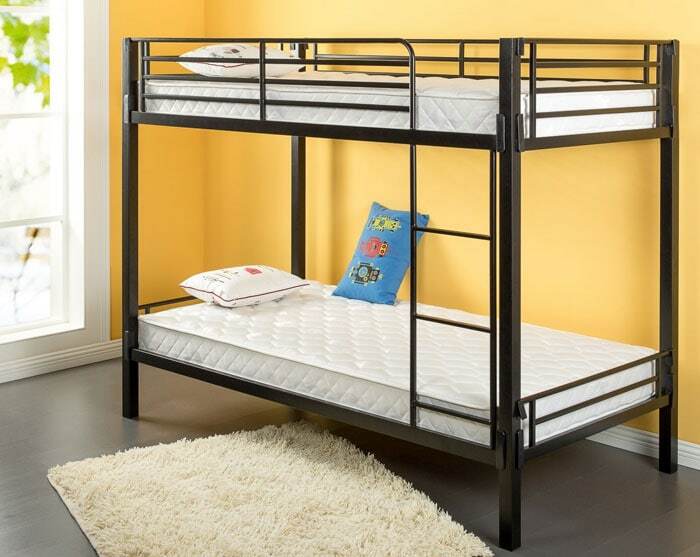 The main difference is elevation, and a bunk bed mattress should not be so thick that it enables people, particularly young children, to roll over the guard rails – particularly on the top bunk. Many households use them as guest beds, or for children of around the same age – particularly twins! You can use any type of mattress on a bunk bed, but not so thick that the guard rails are made ineffective. Also not so thin those children can slip into the space between the mattress and the rails. 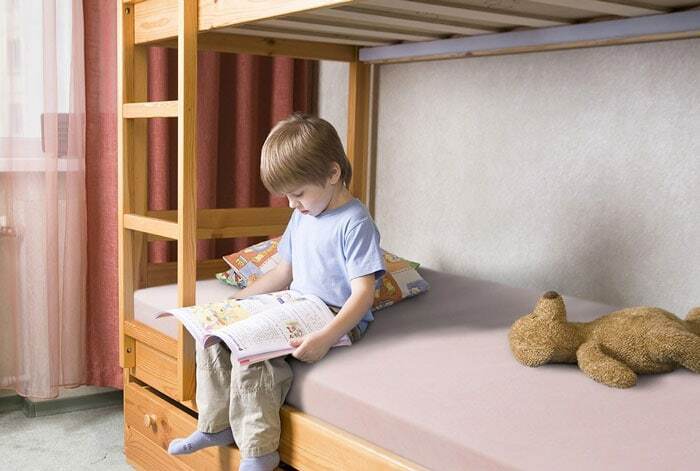 Stick to these rules and bunk beds are safe for kids. Our best bunk bed mattress reviews offer you our opinion of the best mattress for bunk beds in 2019. 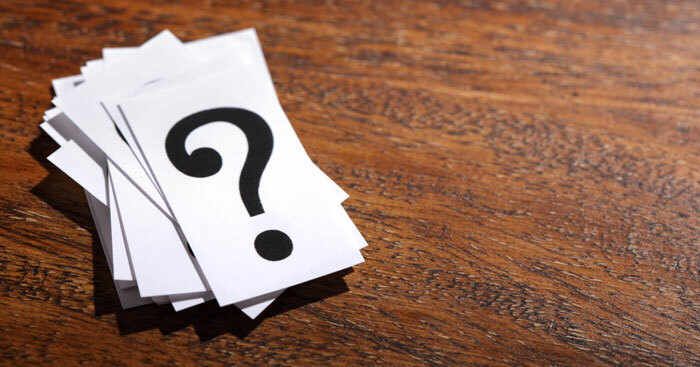 Here are some of the questions we are frequently asked regarding the best mattress for bunk beds in 2019. 1. What’s the difference between a bunk bed mattress and an ordinary mattress? There is no major difference. You can use a regular mattress on a bunk bed. Where there could feasibly be a difference is in the mattress supplied with the bunk bed and the mattress you use on your regular bed. You often find that the mattress that comes with a bulk bed is thin and of low quality. That’s why we recommend that you try the supplied mattress first, and then change it if you think it is too soft or too thin. 2. The two mattresses I received with my bunk beds are thin – only about 3-inches thickness. Is this OK for my children? I have two boys of 3 and 5 years old. No, I wouldn’t think so. We recommend that the mattress be at least 4 inches in thickness. The mattresses we chose for this review are at least 5 inches thick. That is because it’s easy for children to slip down the space left between a thin mattress and the side rails of the cot. It is no longer particularly common, but it can happen. If the child slips down face first then his or her breathing could become restricted. 3. You have included a 10-inch thick mattress- is this not too thick for a bunk bed? Yes, the thickness of the mattress is important. A bunk bed mattress should only be used on a bunk where the guardrail is at least 4-inches above the mattress surface. Five inches would be better, but many bunk beds have high guard rails. 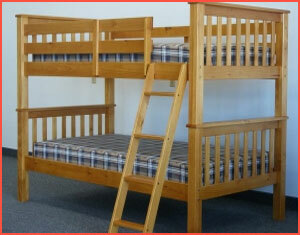 We have included one mattress at 10-inches thick that is suitable only for a bunk bed with guard rails 14 inches high. This has been made clear in the review. However, it is a great mattress for anybody with a bunk bed with that specification. 4. Why are your bunk bed mattresses all twin size? Can both my twins sleep on the same mattress? They are not all twin size. We are simply using twin size mattresses as an example, so we are not comparing different sized mattresses. As made clear earlier, the term ‘twin size’ refers to two twinned single beds being used in the same bedroom. Standard bed sizes in the US and Canada are: Twin or single. 75 in × 38 in (191 cm × 97 cm). They are ‘twins’ because they are the same size and design, and intended for use by two children in the same room (one in each bed). The smallest in our review is 74” x 38” and the largest 75” x 39”. So there is only one inch difference either way. 5. When I buy bunk bed mattresses do they come two in the pack or do I need to purchase two? They usually come in a pack on one. Those in packs of two are more expensive, as you would expect. However, they may not be twice the price of a single of the any of the other mattresses. The question, however, should not be one of price, but of comfort, support, safety and what you can pay. You should purchase the best bunk bed mattress you can afford. Our best bunk mattress reviews have considered a wide range of mattresses suitable for use on bunk beds. There is no genuine need to purchase a mattress specifically designed for bunk beds, because there are none. Not unless we include the thin generic mattresses that many bunk bed manufacturers provide with their beds. Those we have selected were chosen on the basis of quality, value for money and their safety when used on the top tier of a bunk bed. The best bunk bed mattress reviews carried by anyone should take comfort into consideration, certainly, but they should also consider the safety aspect. That is what we have done here.